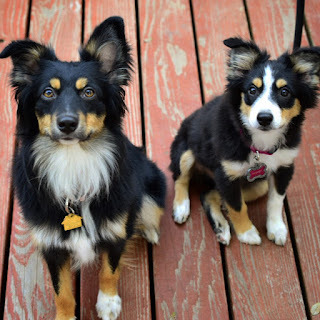 Sacramento Real Estate Blog, by Erin Stumpf: Meet our second addition - Nugget the mini aussie! Meet our second addition - Nugget the mini aussie! I figured with all of the craziness surrounding election day tomorrow, I'd post some lighter stuff. Last year we added a sweet puppy to our family, Citra. Over the summer we decided she needed a sister, so in September we added "Nugget" to our family. Nugget is also named for a variety of hops used in beer brewing, just like Citra. They are about as sweet as can be together...but don't let those angelic faces fool you. It's been a nonstop dog party at our house for the last 6 weeks! In fact it was very difficult to get them both to sit still for this photo! And they have both stolen my heart. 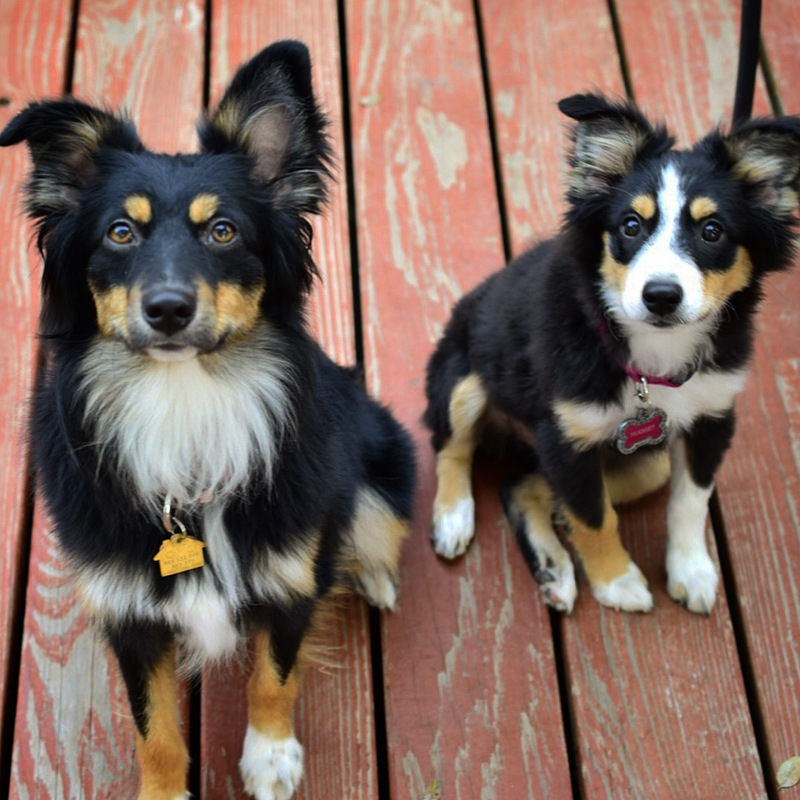 Citra is 13 months old, and Nugget is 17 weeks old. Looking forward to double the sweet companionship.